The serious risk to life posed by dangerous driving was underlined in the latest segment of WCMC-Q’s Ask the Expert series of public discussions. 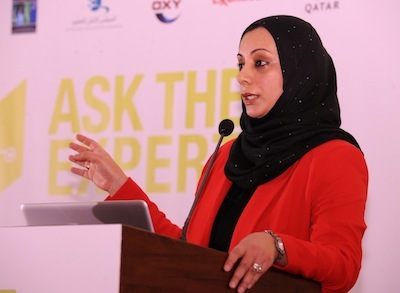 The audience at the free public event heard from speaker Dr. Sohaila Cheema, director of global and public health at WCMC-Q, that fatal motor vehicle injuries occur at a rate of 14 per 100,000 people in Qatar (in 2010), compared to a level of just 4 per 100,000 in Western Europe. The Ask the Expert interactive public seminar discussions are held at the Diplomatic Club as part of WCMC-Q’s Sahtak Awalan – Your Health First campaign. The seminars aim to help the public understand health matters and encourage them to make positive changes to their lives. Dr. Cheema, a public health professional with a special interest in road safety, explained that Qatar has made a significant progress in its efforts to reduce fatalities on the roads, most notably by increasing the number of speed cameras from 14 to 84 in 2007. Dr. Cheema said: “Until 2007, almost two-thirds of all trauma-related deaths in Qatar were caused by road accidents and in 2006, traffic-related death rates in Qatar reached an all-time-high of 26 per 100,000 people. The installation of many more speed cameras made a very big and positive impact. But we must also accept personal responsibility in the way we drive to further reduce the number of tragedies that occur on Qatar’s roads. Dr. Cheema said it is essential for all road users to obey speed limits, wear seatbelts (both drivers and all passengers) and to help ensure the safety of fellow road users by using indicators, turning headlights on at night, and by avoiding aggressive or reckless behavior such as tailgating, cutting in, driving in the emergency lane and overtaking in inappropriate or risky situations. She also stressed the importance of not using mobile phones while driving and said that it is essential to use age-appropriate properly installed car restraints or car-seats for children, as well as ensuring that all vehicles are in good working order. Additionally, all motorcyclists should wear good quality helmets. WCMC-Q’s Division of Global and Public Health is recognized for its research contribution on road safety in Qatar. The Division undertook a major research study that investigated the impact of cameras on road traffic fatalities in the country. The study, which was published in Injury Prevention, a leading British medical journal, showed that installation of cameras significantly reduced road traffic accident fatalities. 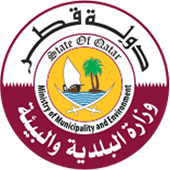 This research initiative was carried out in conjunction with the Supreme Council of Health and the traffic department of the Ministry of Interior. Members of the audience had the opportunity to ask Dr. Cheema questions about road safety and engage in a discussion of the subject. Dr. Cheema, concluded: “Road traffic accidents cause a huge numbers of deaths, injuries and disabilities all over the world every year, and a great many of these tragedies are preventable.